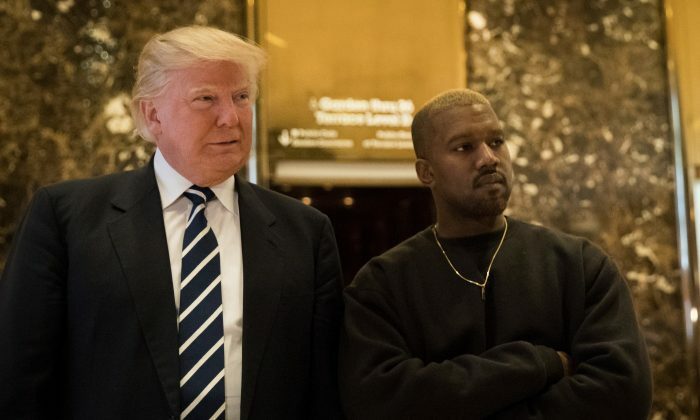 Rapper Kanye West expressed support for a conservative black Trump supporter on April 21. “I love the way Candace Owens thinks,” West wrote on Twitter. Owens is a writer, producer, and commentator. She is the communications director for Turning Point USA, a conservative nonprofit. West supported President Donald Trump during the 2016 presidential race. I believe the black community can do it without hand-outs. I believe the Democrats have strapped us to our past to prevent us from our futures. And I won’t stop fighting until all black Americans see that. I’m not far right— I’m free. Kanye, in seven words, unlocked a mental prison. West posted nine tweets on April 23 with clips from Adams’s video. Owens has criticized the Black Lives Matter movement. She summarized her view of the group recently when a group of Black Lives Matter hecklers interrupted her event at University of California–Los Angeles. West mirrored some of Owens’s thought in several tweets. “Self victimization is a disease,” he wrote in a tweet on April 22. Left-wing commentators attacked both Owens and West for their tweets. When asked about the attacks on Fox News on April 22, Owens said that the backlash is a common left-wing tactic.